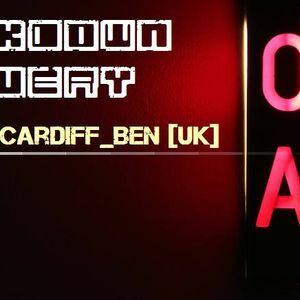 Cardiff_Bens Rock Da Beat Show Part 2 Of The Day..Holding It Down On nsbradio! Stereo Type, Dom Almond, Beta, Under This, Darkus and more. This show was 10th in the global breakbeat chart and 24th in the global breaks chart. Part 2 of the day, covered.. let the tunes do the talking on here.. solid from the word GO!!!! I&apos;ll add a DL link this week..Thanks for the repost and comment! Thank you so much :) i really appreciate your effort. I waslooking for your next shedule but did not find it. When is your next online show? Uploading it to my Dropbox now Chrisi..thanks for the comment and request and also repost! I only ever cover the gaps from about 10am - 1700 GMT on nsb when I am on my 4 days off.. would be good to have you listen live. Are you on facebook? yes i will send a friendship request now!